Concept-Therapy is an EXACT HEALING SCIENCE which simply explains and demonstrates with the use of KNOWN LAWS that we can change no thing, no thought or action without first CHANGING ONE'S CONCEPT. 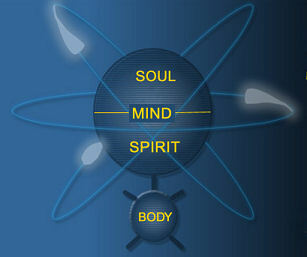 The Concept-Therapy Philosophy is a practical, workable philosophy of life with the motto: Know Thyself. It offers the tools for self-knowledge, enabling people to adapt constructively to the environment in which they currently live and work. By thoroughly understanding and applying the universal life principles in Concept-Therapy, anyone can begin to build the life of health, happiness, peace, and prosperity that they desire. 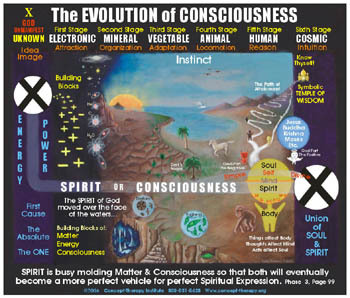 The Concept-Therapy movement, the grandfather of all holistic courses taught today, along with Zone Healing, embodies the entire teachings and philosophies of the ages, bringing the message home that we have everything within us To BE, To CREATE, To HEAL because we are one with the source, the creator. The teaching of Concept-Therapy has always stated that we hold onto beliefs and ideas that are buried deep in our subconscious. They were instilled in us through other people and our environments at an early age. They control our thoughts, actions, and perceptions throughout our lives and we are mostly unaware of them. These beliefs are often of a very negative nature and manifest into negative outward conditions and relationships in our lives. The good news is that we can become aware of them, learn to change them and change our lives for the better as a result! Concept-Therapy's teaching arms you with the knowledge and tools needed to accomplish this positive change. In a CT class, you might very well be asked, "What do you want?" This is an important first step to positive change. To know what you want is to consciously choose one idea over another. It begins the process of creating new brain cells for that idea that will, with time and attention, vibrate stronger than the old ones. Simply making a conscious choice for something better will set positive change in motion. When you were born up to the present they developed from what you inherited, what you acquired, what you learned. Concepts from your religion, your environment, your genes, your family, your government, your doctor are now fixed in your MIND! These concepts are either positive or negative, plus or minus, good or bad... for you alone! What Concept-Therapy teaches is Health, Happiness, Success & Peace! The same, scientifically based principles have governed the universe since time began. When you work with them instead of colliding with them you bring yourself into alignment with the creative potential of the universe. Your attitudes and every circumstance in your life today are the result of inherited and/or acquired concepts. If any of these areas of your life – your health, your work, your relationships – seem bogged down by negativity, it means that you have some negative concepts operating. By addressing this through the teachings in Concept-Therapy you will learn to create positive, beneficial concepts while discarding negative, destructive ones. When you do, you will be able to enjoy the best life has to offer. When you know how to create harmony among the important people in your personal and professional life, you can all work together to achieve mutually beneficial goals. Concept-Therapy presents a unique, easy-to-understand model that is drawn from the areas of agreement found in science, psychology, and theology. Armed with this understanding, you can avoid or resolve conflicts and create healthy, satisfying relationships. By consciously working with ideas, you can create mental images of a positive nature that will enrich your physical, mental, and emotional health. By changing your attitude and improving your personal and professional life, you will recognize and better fulfill your true potential. Truth has always existed in every culture and every era. Concept-Therapy coordinates these truths, presenting them in simple, everyday language, that makes them both comprehensible and workable. The Concept-Therapy Philosophy deals only with facts, not with theories or fantasies that cannot be proven. By understanding and applying these life principles, you can turn unhappiness, despair, stress, and failure into joy, peace, health, and prosperity. Take the Key and unlock your Potential! See our Class & Workshop page for information about upcoming Concept-Therapy Seminars wtih the Absolute Health doctors. Read more about the benefits of taking a Concept-Therapy Class.